Pontos Requerido: 11150 Os jogos não são compatíveis com dispositivos móveis e tablets. Por favor adicione este título à sua Lista de Desejos e inicie a sessão na sua conta the first club desde um computador para concluir o processo de solicitação. NOTICE: Activation key must be used on a valid Steam account. Requires internet connection. About the gameWhen Houdai is shot by cupid angel Ekoro, he becomes immensely popular and suddenly every girl at the academy becomes hot for him. But being irresistible is hardly a dream come true! Every love letter, shout of adulation, and advancing kisses drains his energy! 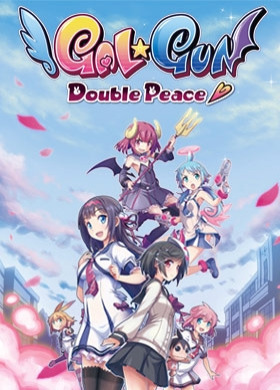 And worse - if he doesn't find h… is one true love by the end of the day, he will become cursed and forever alone!Key Features Gorgeous anime-styled rail-shooter action. Use your targeting cursor to fend off the advancing girls! Story Mode: Play through the story and see if you can successfully confess your feelings to the girl of your dreams. Score Attack: Play specific levels to achieve the highest scores. Collection: Take a look at your achievements, image gallery and information on all the lovely ladies at the Academy! Choose your own love interest. Your choices will change the story and the path you take throughout the game. System Requirements Windows - Minimum OS: Windows 7, Windows 8.1, Windows 10 Processor: Intel Core i3-550 / AMD Phenom II X4 964 Memory: 6 GB RAM Graphics: NVIDIA GeForce GTS 450 / ATI Radeon HD 5870 DirectX: Version 9.0c Storage: 10 GB available space	Windows - Recommended OS: Windows 7, Windows 8.1, Windows 10 Processor: Intel Core i5-4460 Memory: 8 GB RAM Graphics: NVIDIA GeForce GTX 750 DirectX: Version 9.0c Storage: 10 GB available space	©2016 INTI CREATES CO. LTD. All Rights Reserved. Licensed to published by PQube Limited.